Weather models are presently suggesting a rain event to unfurl across a large portion of south east Australia over coming days. When analysed, it appears that this will occur in two bursts with the first one passing across northern New South Wales and southern Queensland during Monday / Tuesday with the second one passing through New South Wales, Queensland and north east Victoria during Wednesday. The second event appears to be more substantial in which an inland low will develop across Queensland and New South Wales then cross the coast near Sydney before tracking south east then moving away as an east coast low. 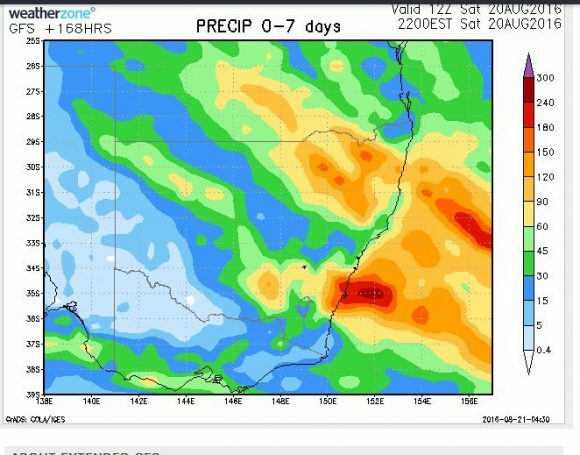 Combined, the two events are expected to deliver healthy rainfalls across North East New South Wales where 30 to 120 mm could potentially fall. The development of an east coast low south of Sydney appears interesting as there is potential for falls upwards of 120 mm within an area from Wollongong to Ulludulla on the New South Wales south coast and Illawarra region. Models are likely to vary again as the system develops but it is one system to watch with interest. The attached satellite photo (Himawarri) and dated 21 August 2016 is showing the development of the cloud mass that forms the weather system to pass through south east Australia in coming days. 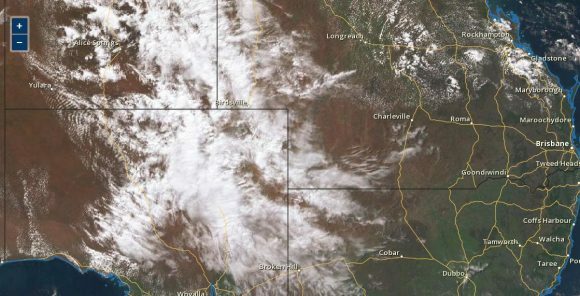 A feature of this is that there were thunderstorm activity across the Alice Springs region Sunday morning. The cloud mass seen will build further as it tracks further east and influence the weather in coming days. Bureau of Meteorology for satellite image and synoptic chart for 24 August 2016. 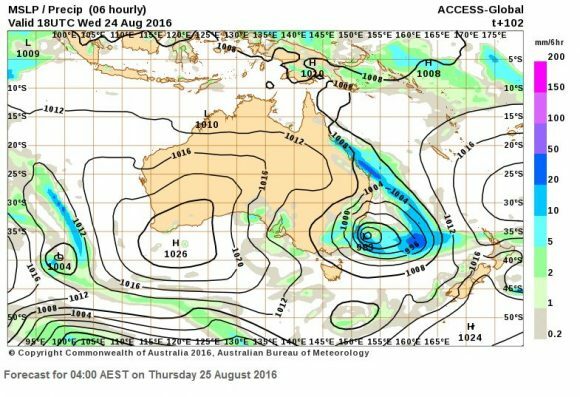 Weatherzone - Rainfall model for week 22 to 28 August 2016.